The whisky of the day is a relatively new no age statement release from Suntory, the blended whisky Hibiki Japanese Harmony. This whisky is made up of malt whisky from both Yamazaki and Hakushu distilleries, and grain from Chita distillery, all Suntory owned. Five different types of casks is said to have been used; including mizunara (Japanese oak), American white oak and sherry casks. 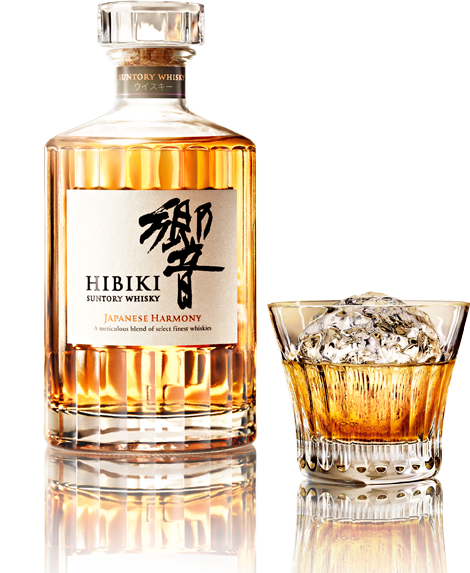 The Hibiki Japanese Harmony is not (yet?) available to buy in Norway or Sweden but you can buy it online from the UK at around GBP 42. Nose (23/25): Soft and delicate. Notes of tea, honey and exotic spices. Oranges, pineapple and apricots. Soft oakiness. Milk chocolate and soft peatiness. A very appealing nose. Give it more time in the glass and it will show the typical Japanese depth, and (yeah, I know) - harmony. Taste (20/25): Sweet, rich and spicy. The spices are bordering on being harsh and bitter. It feels slightly off, which is surprising. Finish (20/25): Bitter oranges, bitter oak, bitter spices. Dry-ish and og medium length. Spices and burnt caramel. Balance (20/25): I found the nose to particularly harmonious, the taste not so much.